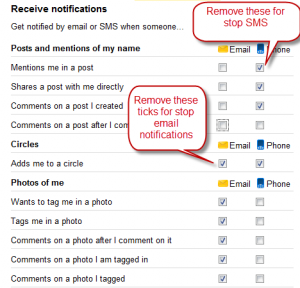 Google+ notification which sends you to your Email and at your Phone Via SMS .Now you can disable this Google+ notification and they will stop sending you mail and sms .If you are getting all rubbish emails and sms from google+ such as your freiend had tag you in photo or Comments on a photo I am tagged in this may full your inbox with Unread mark. 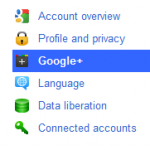 By Default Google+ select all Users .You can easily stop notification from Google+ follow these Simple Steps . STEP2:- Go to Google+ and Select it now you can your phone no. 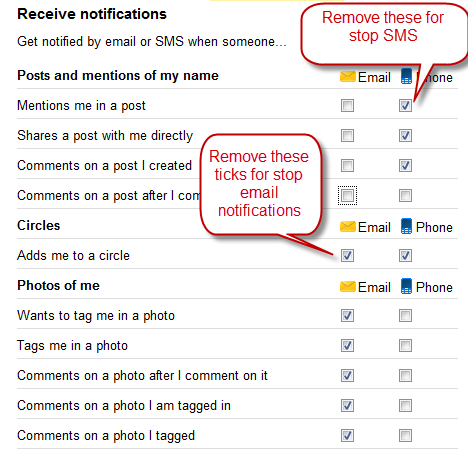 if you have not added to enable notification via sms. STEP3:- Now go to Receive notifications then select Notify me by email or SMS when someone Posts, Adds me to a circle, Tags me in a photo and all. Select check box if you want notification Via Email or SMS . 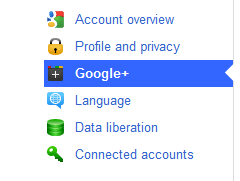 It will automatically save your settings and Enjoy Google+.